You own a condo unit and are keen to rent it out. Along the way, you realize that you just don’t want to manage everything that goes into renting your condo, such as putting a rental notice out, finding and screening applicants, organizing collection of rent, taking care of any property maintenance, the list is endless. Wouldn’t it be nice to have someone take care of all this and you simply see monthly payments come into your bank account? That’s what a Property Manager can do for you. Essentially a Property Manager is like your own concierge service, managing the day-to-day processes of a rental property, so all you have to do is expect a rent cheque. However, it’s important that you and your Property Manager are on the same page when it comes to service expectations. 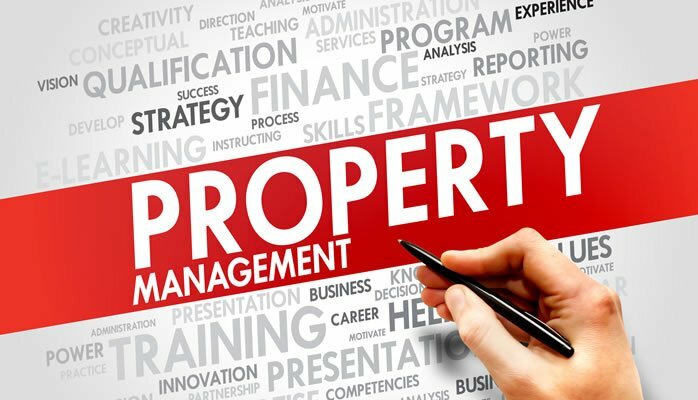 While there are typical responsibilities that most Property Managers complete, such as marketing your condo unit, finding and screening potential applicants, move in / out walk throughs with the tenant, supervising cleaning of the unit in between occupancy, collecting monthly fees and hiring professionals for any maintenance work required, there are a few additional items that you should expect from your Property Manager. Communication is key to a positive Property Manager relationship. In having open and honest conversations, you’ll be able to make effective decisions about the property. Your Property Manager should discuss with you on everything from what your rental rate should be to whether or not the tenant is responsible for specific property maintenance. By having an open line of communication, you’ll be able to address any issues that may arise, and understand that you both want the same thing for your property – protection of your investment. In addition, by having open communication, you can have effective conversations that address changes in the market place itself. For instance, are rental rates declining across the board and do you need to adjust your rental rate accordingly? What does the market “expect” with their rental, such as utilities, television, and even Internet in some cases. Your Property Manager should be able to provide insight and guidance on these items for you, while trying to effectively keep a lid on additional costs so your rental property isn’t costing you money or causing additional stress. Your Property Manager must always keep in mind that they are ultimately working for you, the owner of the condo unit. As the owner, you are the one taking the risk, making mortgage payments and paying condo fees, so someone else has a place to live. And, while the Property Manager is there partly to support your tenant, you are the one to whom the Property Manager mustbe loyal when it comes to making decisions. Build a relationship where you can trust that your Property Manager will make decisions that are in your – and your condo’s – best interest. While you are ultimately to whom the Property Manager owes allegiance, they must approach interactions and decisions with a sense of diplomacy since their decisions will affect your tenants. This comes back to the real purpose of Property Management: to protect your investment. This often sees your Property Manager acting as a conduit between you – the owner – and your tenant. A good Property Manager will have the people skills required to deal with issues, providing an empathetic ear, yetfocusing on the best solution for your investment. “Favours” in maintaining your property, particularly those that have to do with tenants paying rent late or breaking their monthly payment into two. Yard work: this happens more if your rental is a house. The responsibility of looking after the yard is typically part of the lease and the tenant is expected to cut the grass in summer and shovel snow in winter. However, the physical appearance and maintenance of the house is a shared responsibility between the Owner and the Property Manager. Be sure you read your Property Management contract thoroughly and address any questions you have with the Property Manager prior to signing. This ensures you both understand who’s responsible for what in the managing and maintenance of your property. Renting out your condo unit is a great investment, however, if it’s not properly managed, it could become your worst headache. With a committed Property Manager, you’ll benefit from having a rental property, but without the hassle of having to manage it. Simply enjoy the additional stream of income and trust that your Property Manager is there to act on your behalf in a way that protects you, while giving someone else an affordable, quality place to live. Contact Catalyst Condos to learn more about Property Management and service expectations.